One would be hard-pressed to find a more jarring juxtaposition to the new exhibit "Foreclosed: Rehousing the American Dream" than the venue itself: New York's Museum of Modern Art. MoMA is pre-High Line Big Apple contemporary, with glass, steel and high-end patrons. It is located in a very high-end neighborhood, a far cry from cities like Rialto, Calif., and Cicero, Ill. discussed in the exhibit. One is far more likely to be standing next to a Carioca discussing her new downtown condo than suburbanites wondering about foreclosure or falling property values. At $25 a ticket, an hour of museum entrance fees on a typically busy weekday could probably buy an entire block in many of the hard-hit suburban communities across the country. That said, it is high time that a high-profile American cultural institution took on the question of housing and the future of the American Dream, and the exhibit does an admirable job of asking some important questions. The project began at the Buell Center for the Study of American Architecture at Columbia University. In classic architectural style, it emerged first as a pamphlet and then as the "Buell Hypothesis," an ode to manifestos and monographs past that combines Socratic dialogue with a scrapbook of American housing history and an urgent call to rethink the American Dream. The goal of the exhibit is urban — this is not just about housing, it argues, but about cities. Its hypothesis is: "Change the dream and you change the city." Doing so requires "a different kind of public conversation" about housing, dreams and cities. In addition to featuring arty displays of this hypothesis as textual object, the exhibit features the grand designs of interdisciplinary teams of architects and non-architects that seek to test it. 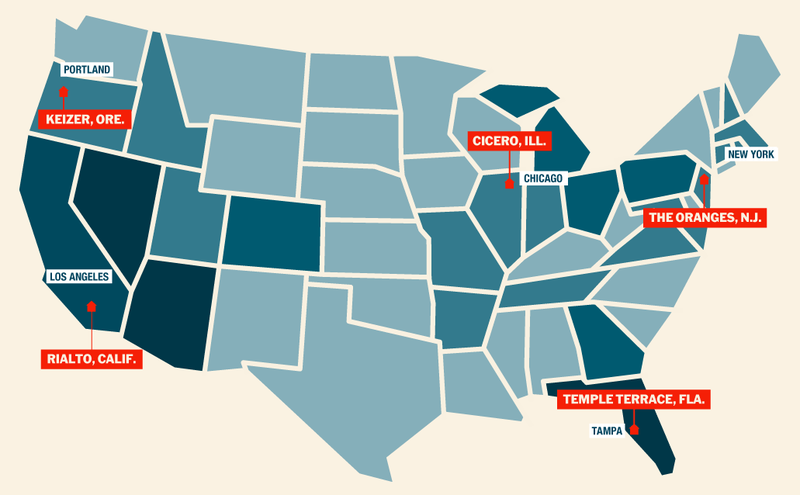 Five places were chosen: Rialto, Calif.; Cicero, Ill.; Keizer, Ore.; Temple Terrace, Fla.; and The Oranges in N.J. 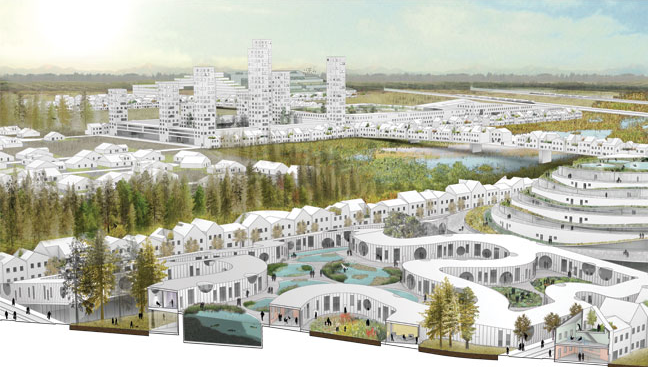 Teams did extensive research, and their renderings of a rebuilt and re-imagined suburbia appear in the exhibit. Model of "Nature-City" by Amale Andraos and Dan Wood of WORKac. To their credit, what emerged were not simply architectural renderings. The Keizer team included planners, economists and one of my favorite urban law theorists, Harvard's Jerry Frug. The "design" of this 21st century rendition of Ebeneezer Howard's dream includes ideas on taxation and ownership structures. The other four models include ideas on energy, water, transportation, land use regulation and microeconomics. Some of them are spectacular, especially the neo-Garden City model from Oregon. Unfortunately, most of these ideas get lost in the pretty models and large-scale renderings, buried under architectural gloss and the dominance of design. I have the utmost respect for the goals of the Buell Hypothesis, and I would argue that most of us at Polis are attempting to engage in a new public conversation on urbanism. However, I question the degree to which the exhibit pushes this conversation forward. Perhaps it is my own distrust of high architecture, or of architecture and architects as the primary drivers of this conversation. Much is made in the Buell text of the history of modernism and public housing, a history that made many non-designers like myself inherently distrustful of a conversation about changing cities that seems to foreground physical models. There is also little engagement with the fact that much of what made Howard's Garden City idea great was his re-imagining of property ownership and local political economy, not simply his ideas on design. In fact, the fate of American suburbs and the hardened fiction of the American Dream stems in part from the ways developers and urbanists used Howard's design model but threw away his anarchist ideas about ownership. The failure of this exhibit to highlight a fact that it clearly knows, and instead fall back on the enticing eye candy of design, is all the more frustrating because of its location. New York City has long been home to some of the most innovative ideas in collective property ownership, from co-ops to mutual housing associations. Needless to say, the towers surrounding the museum are reminders of a different kind of "ownership," debt-fueled speculative capital markets whose global center is only a few miles to the south. 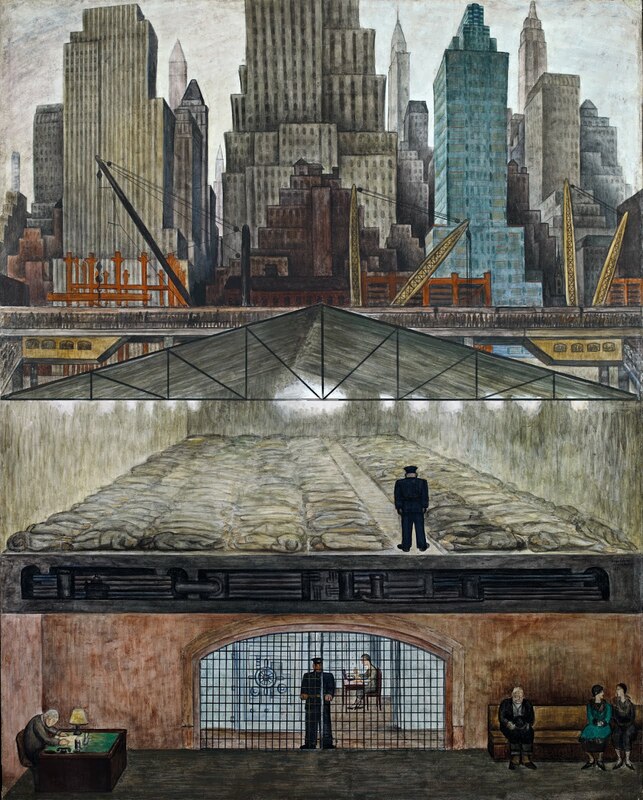 If you want a more complete story of the American Dream, walk down one flight of stairs and take a look at a piece MoMA commissioned from Diego Rivera in 1931, aptly titled "Frozen Assets." Thanks Alex for a great post with a much-needed critical perspective! I hope I can see the exhibit myself this summer, and I will have your comments in mind. I agree that the discussion needs to be pushed forward, especially as the human tendency all too often is to look back. I didn't see the exhibit in person like you did, Alex, but I did read about it. The part that really got under my skin was when I read that the participants, to prepare for this exhibition, had spent some time "in residence" at PS 1 in Long Island City. Would it really have killed them to spend some time in -- gasp -- actual suburbs? I guess that was just a bridge too far. It confirmed my pre-existing notion, which I think you echo, that architecture, generally speaking, is not a discipline that has much that's meaningful to contribute towards these issues of redefining the American Dream. To critique it and to change it, it's helpful to have even a smidgen of understanding of why it's powerful and widespread among so many people.